There is power in modeling. Whether you are a Math, Reading or Language Arts teacher, teacher modeling is extremely important when trying to get students to begin to understand and learn key concepts. 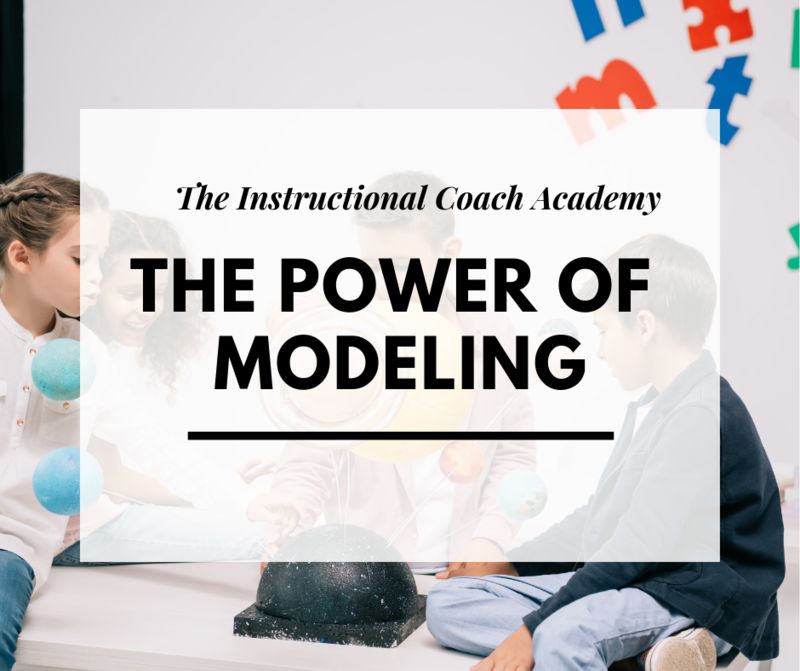 As simple as it seems to incorporate in lessons, teacher modeling is often overlooked. We expect that if we tell our students to “do”, they will just “do.” When students do not produce the outcome as expected, we often get impatient, frustrated and discouraged. However, we have missed one of the most powerful research-based instructional strategies in teaching—modeling. Modeling helps to make learning concepts clearer. One way a teacher can model their thinking with students is to think aloud as they annotate or read a text, work through a math problem, or share thoughts/feelings about a topic. Students need to observe, discuss and be a part of the modeling process. By having students become a part of the process, they begin to understand the concept quicker because they are able to explain and communicate the learning concept. It helps students to become critical thinkers and to be able to express themselves and their learning. Scaffolding, having student(s) work with the teacher and provide examples, is a technique that allows students to actually see what is being asked of them to produce with teacher support. Scaffolding for students is extremely important before they begin to try a new concept or strategy on their own. In an article by Northern Illinois University, it states when [teachers] incorporate scaffolding in the classroom, [they] become more of a mentor and facilitator of knowledge rather than the dominant content expert. This teaching style provides an incentive for students to take a more active role in their own learning. There are many ways teachers can utilize students as models in their classrooms. At times, students can explain and model for their peers in a way that the concept is made even more plain to them. This is usually done after the teacher has modeled the learning concept for their class. Teachers can call a student up to model in front of the classroom or they can pair/group students and have students model within the group. Either way that is decided, it can be a powerful tool and at times students can explain it even clearer than teachers can. Let the students lead them, right? Modeling in education is one research-based strategies that often gets overlooked. Let’s remember its power and use it to effectively teach students while providing the necessary support for our teachers.